Sharing a blog I recently posed on Huffington Post. In honour of the International Day of Yoga, here are few science-based videos supporting the holistic benefits of meditation. Meditation = yoga of mind with higher state of personal consciousness. 1) Scientific power of meditation: Let’s start with this cool 3-minute video. Wisdom: Meditation helps your brain chill as you get wired to be happy! 2) Mindful parenting. “Being” vs. “Doing” with your child: Watch Dr. Dan Seigel’s video explaining the benefits of mindful parenting, scientifically. He is a clinical professor of psychiatry at UCLA. Wisdom: Busy parents, slow down your rushed minds. Meditate. As your mind quietens, your mindful awareness will inspire your children to mimic calmness, resilience and compassion reflecting out through you. Try it! 3) Can mindfulness increase our resilience to stress? Dr. Richard Davidson, Neuroscientist from University of Wisconsin, explains the science of mindfulness. Wisdom: Practicing mindfulness allows you to free yourself from the addiction of thinking. It allows you become aware of ‘you are not your thoughts’ and helps you expand your observing capability, to detach and act from a place of deeper wisdom. Certain forms of mindfulness meditation practices have proven to provide faster mental health recovery as it trains the brain to increase resilience towards stress. Wisdom: Focusing deep inside the centre of your forehead behind your eyes (area deep inside the prefrontal cortex) helps cut brain noise. Focusing internally on your breath awareness (throughout the brain and down to your spine and up to your nose) helps reduce stress as your body secretes tranquillising hormones helping you experience peace. You can literally train your brain to get wired for happiness through regular yoga and meditation practice. 5. Meditation is not just a placebo. In this excerpt from the documentary The Connection, which tells the stories of people adding mind-body medicine to their healing practices, Harvard neuroscientist Dr. Sarah Lazar, a molecular biologist, talks about the connection between the mind and body during meditation. 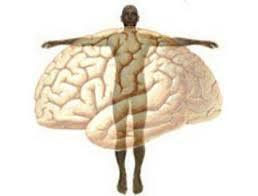 Wisdom: Meditate for healthy brain, healthy mind, healthy heart, healthy social relationships and a healthier life.